All through my 20s and most of my 30s, I've never been a morning person. I've always been one of those people who sets the alarm for an hour before they actually have to get up, and then hit the snooze button for an hour. Well, until I got married. Hubby didn't really like waking up every 9 minutes for no apparent reason. After that, my alarm was always set so that I would wake up at the last possible minute and still make it to work on time. Back in days when I worked retail, if I had to be at work at 10, the alarm was set for 9:30. What if I didn't have to be at work until noon? Well, sometimes I would sleep until 11. What can I say, I like my sleep. As I transitioned into the corporate 8-5 world, nothing much changed. If I had to be at work at 8, I'd get up at 7:30 and run around like crazy to get out the door on time. All that changed when I discovered the joy (yes, I said joy) of early morning workouts. When I tell people that I work out 5-6 days a week, they often ask me, "When do you find the time?" Well, I make the time. It is not really that I am too busy after work, I don't have kids and my husband is very laid back. It is just that after a long day at the office, I would find myself too exhausted to work out. The solution? Get it done in the morning! I love to get my workout finished early. I start my work day feeling accomplished before I walk in the front door. I don't have to spend all day thinking about it, obsessing worrying if I am going to get it done today. I will admit It was a tough transition at first. How did a late sleeper like me turn into an early bird? 1. Place your alarm clock in another room. I set my iPod alarm for 5am and leave it on the office desk in the next room. I have to get out of bed to turn it off, sometimes after a gentle nudge from hubby. Once I am up and out of bed, it is easier to stay up. Banish the snooze button. Nine more minutes never made anyone more refreshed. Hitting snooze for an hour only interrupts sleep, you might as well have gotten up. Your significant other will thank you too. 2. Go to bed early. I am always in bed a few minutes before 10PM when I have a 5am workout the next morning. Shoot for 7 or 8 hours of sleep. If you are well rested, it is easier to wake up in the morning. 3. Give up caffeine. GASP! I know what you are thinking, "You want me to get up at 5AM and give up caffeine?" Hear me out. This was a huge one for me. Before I gave up my caffeine addiction, I had a really hard time getting up in the mornings. After giving up caffeine, it was much easier. You know that feeling you have in the morning when you feel like a truck hit you and it doesn’t go away until you have your morning coffee? That feeling is caffeine withdraws. The coffee makes it better, but if you didn’t drink the coffee in the first place, you probably wouldn’t have that exhausted, dragging feeling at all. Once I gave up the caffeine, and got past the first week of hell, I wake up feeling refreshed most of the time. Try it. It made a world of difference for me. If you absolutely can’t give up your coffee, then you have to learn to fight through the morning withdraws. Get up. Feel like crap. Drink your coffee. Feel better. Get to the gym. 4. Find a workout partner to keep you accountable. It is sad, but sometimes we feel more accountable to other people than we do ourselves. When I had an early morning running partner, we had a no texting rule. If one of us decided to sleep in, we just had to go back to bed and not tell the other person we weren't coming. It worked like a charm. There was no way either one of us was going to leave the other person out there waiting. I don't have a workout partner for the mornings anymore, but in the beginning it was very helpful while I was developing the early morning habit. 5. Just do it. Sometimes in the morning as I am getting dressed for the gym and the house is quiet, my mind is screaming at me so loudly, NOOOOOOOOOOOOOOOOOOO! 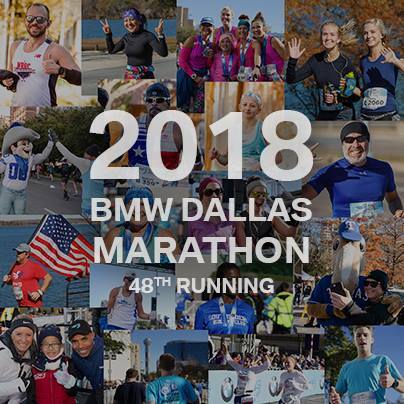 I start to think about the hard interval run on the treadmill or all those heavy weights, or burpees, or 3 minute planks, or 2 minute wall-sits, and my mind goes hard to work trying to convince me not to go. Ignore those thoughts. Push forward. Your thoughts lie. I don’t know why we have these self-sabotaging thoughts, but most of us do. You have to remember that you don’t have to listen to every thought that floats through your head. Just keep moving forward. 99% of the time, once I am at the gym, I am glad I am there. 100% of the time, when I finish a work-out I am more-than-elated that I got it done. 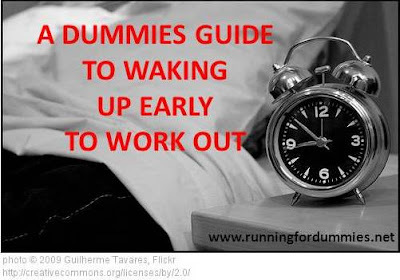 It (almost) goes without saying that there is no fitness law that you have to get up early to work out. 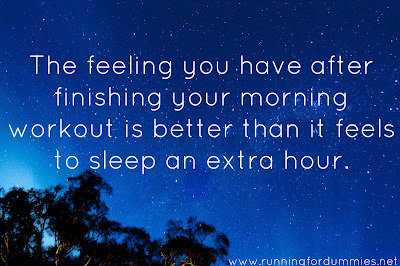 Some people prefer to sleep in and do their work outs later in the day and that is perfectly great! The time of day is not as important as it is to just be consistent with it. I found that the best way for me to stay on track and be consistent was to get it done while the rest of the world is sleeping. I am not perfect. In fact, I turned off the alarm and went back to bed two unscheduled times this week. It happens. Next week, I am committing to myself that I will get up four days between Monday and Friday to get to the gym before work. Some weeks are better than others. The important thing is that we keep pushing ourselves to develop new healthy habits. We don’t have to be perfect, we can slip up and make mistakes, but we just have to keep trying. 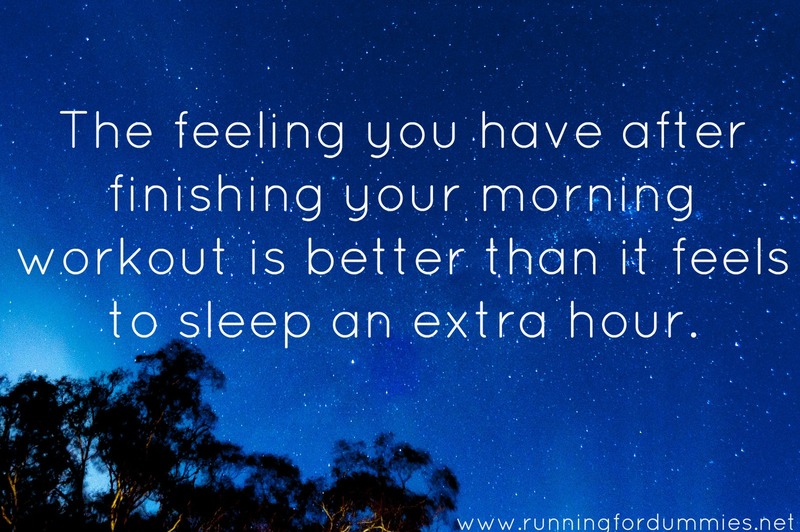 Let me assure you, the feeling you have after finishing your workout by 7am is better than it feels to sleep in an extra hour. So, what time will you set your alarm for tomorrow? I also love a morning workout- my "tips" are to actually go to sleep wearing my sports bra or spandex shorts- it somehow signals my body about the coming morning.. And as soon as possible i plug in my ipod with the same "waking up amd motivating" songs of dance pop- hard to want to go back to bed while listeni g to "moves like jagger"!! I do this too! For some reason, pulling a sports bra over my head feels like too much effort at 5am. It sounds stupid, but it's one less thing to do. haha. I'm guilty of it as well... my running shorts on in the summer or my thermal leggings (yes, my leggings) in the winter as sleep wear. And it works for me. and you're right, the upbeat music in the morning, does help as well. I got up early today, before I found this page, and my workout was done by 7am. I had to drop my boyfriend off at work at 5:#0 since his car is being worked on and I decided to go get my workout out of the way since the gym is like 5minutes away. I feel amazing! I have tried this several times...I always have great intentions the night before, until the alarm goes off...and it's still dark outside when i wake up. My day normally starts at 5:15 as it is...its soo hard to get up any earlier to work out even though, it seems like that's the only time of day that i'm free to workout...:( I guess, i JUST NEED TO DO IT! I laughed through that entire thing! I've went through all those same trials... Except haven't given up caffeine yet... Love it! Thanks! I think it is something we all struggle with a little! Just found your blog...love it! I'm going to try out the Daily Mile..seems like a neat way to track workouts. I am just getting back to running after several years off (and many pounds on!) and getting up and working out at 5am is definitely a goal of mine. And I'm totally going to try the plank a day for the next month! Thanks! I too am NOT a morning person. My excuse was I didn't have time, so I did what you did... I made time. I wake up at 4 and am at the gym by 430. Yes there are days I sleep in, but when I stick to my routine I feel great! Plus I kinda like the emptiness of the gym that early! It is easier to just be on a schedule and wake up at the same time each day. I have to get up in the morning at 3:45 am to take my daughter to figure skating (4:30-6:30 am). There is a gym above the ice rink, so the moms and I work our while the girls skate. 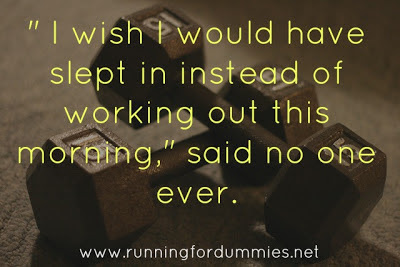 I have been doing this 5-6 days a week for four years now and love the satisfaction of showing up for work knowing I have already run 4 miles and worked out for an hour and a half while most people are stumbling in with their first cup of coffee. I can run half-marathons now and am in the best shape of my life at 50!!! I love this! I am the worst morning person. And now i am a first time time and stay at home mom. I nanny a baby a couple days a week but dont start till 10 am and its true I will wake up at 9 so i am always rushing. I feel like I have no energy to get up and do any kind of exercise after having a baby. Ive just plain let myself go and gained more that when I was pregnant. I have wanted to get back to working out but cant seem to have time with a baby and house work and life just draining me, just plain tired. This blog really made me realize that it really can be done and i just gotta get the hang of it. If I can wake up in the middle of the night to feed the baby I can wake up early when my hubby leaves and go out and start my day. Thanks for all the advice I am going to TRY it out! This really helped. THANKS!!! Love this post. I fell off the early morning workout bandwagon once I moved in with the husband. worst idea ever (slacking on am workouts. not the marriage ^_~*) I have my alarm set for 5 or 5:30 and snoooooooze until 6:30. ugh. and then I think of how cold and dark it is out there.... -sigh- Going to try a couple things you mentioned and hopefully that will get me back in the game. I'm late reading this post, but it's still excellent! I'll be sharing it. Great advice! This has been my goal for what feels like a year. I just bought my wedding dress this weekend and I AM DETERMINED to finally get this morning am workout going to look great in it....before and post that. Just using it as a motivation. I am not a morning person and I have all the negative voices in my head telling me to go back to sleep. But in my heart of hearts I know that the morning will be the best time for me, because after work I get discouraged after driving an hour home and then having things to do. Wish me luck!! Thanks for the post. Wonderful. You are such a motivation. I am not a morning person and I hate working out later in the day. I am so gonna try your idea.